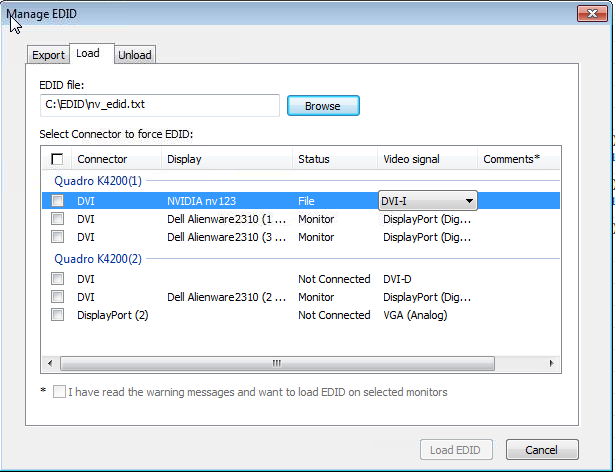 EDID is information about supported display resolutions and modes that is stored on display such as Monitor, TV or projector. 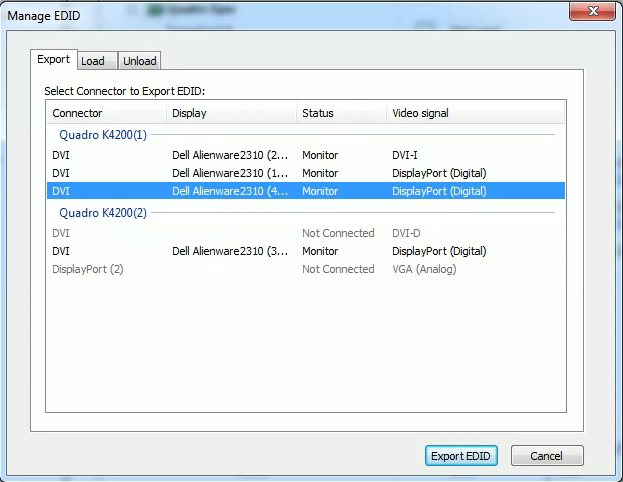 The NVIDIA driver reads the display EDID when it detects an attached display. From this information it will determine the preferred display timings and supported modes. How do you Manage the EDID? 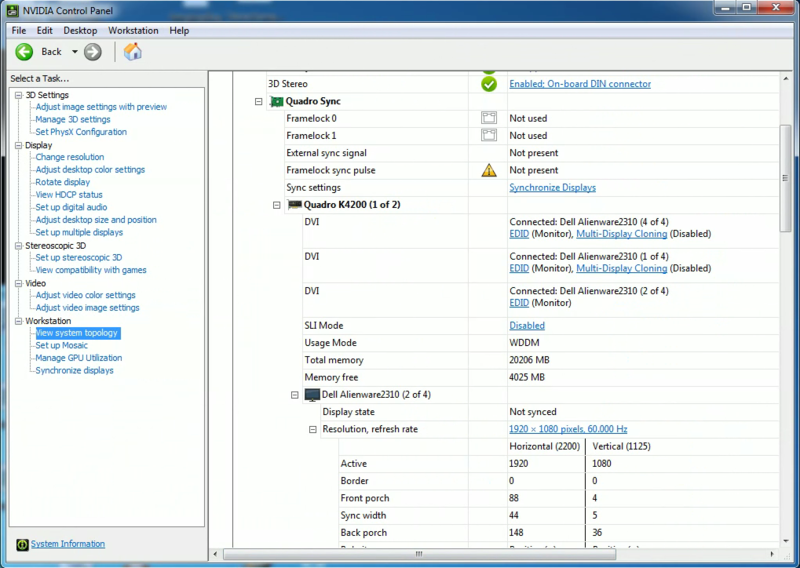 The NVIDIA Quadro Driver can store the EDID from a display and save it to file. Instead of reading the EDID from the display we can now read it each time from file. Export the EDID to file. In A/V environments with switchers and/or cable extenders the display EDID may be lost. Protecting against hot plug events. In Windows 7 and 8 if you unplug a display that will trigger a hot plug event which may reconfigure your displays. With the EDID being read from file the OS will always think the display is attached. You can use it to fake a display being attached for testing. Steps to Export the EDID. 4. Select Export EDID - you will be prompted to save the EDID. 2. 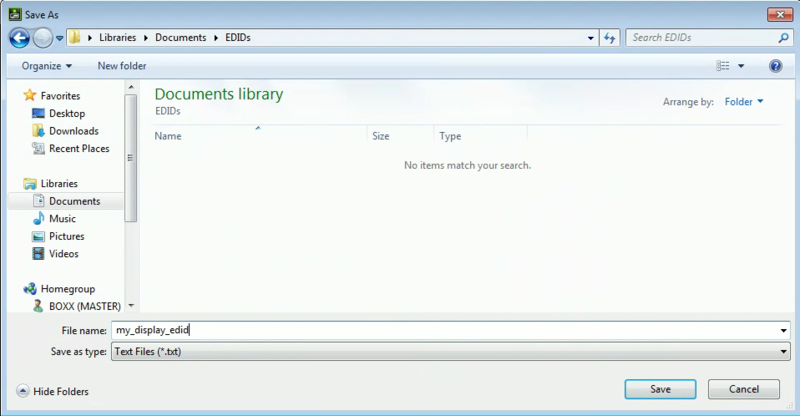 Select the EDID you want to load using the "Browse button"
7. 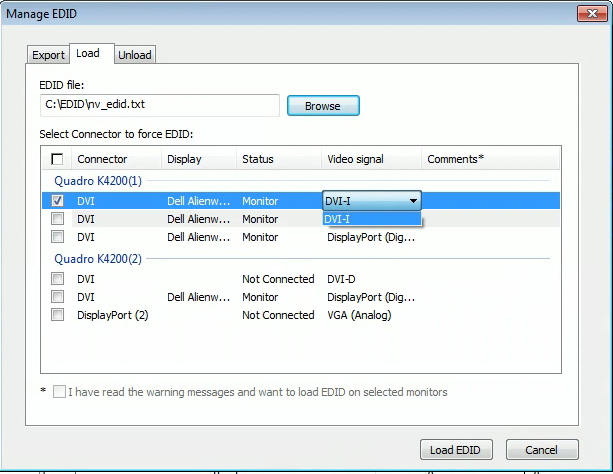 View system topology page will indicate it is reading the EDID from file by showing "E" logo and "EDID (File)" beside the display. 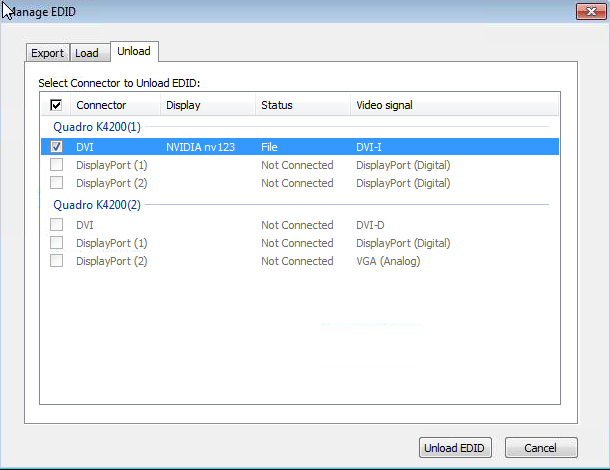 If you load the EDID onto a DVI port but later attach an HDMI display you may see two displays attached to the same physical display (only one display can be active at any one time). Select the display and press Unload EDID.